The potential spread of disease from farmed oysters to wild oysters is a frequent concern for oyster producers and consumers alike. 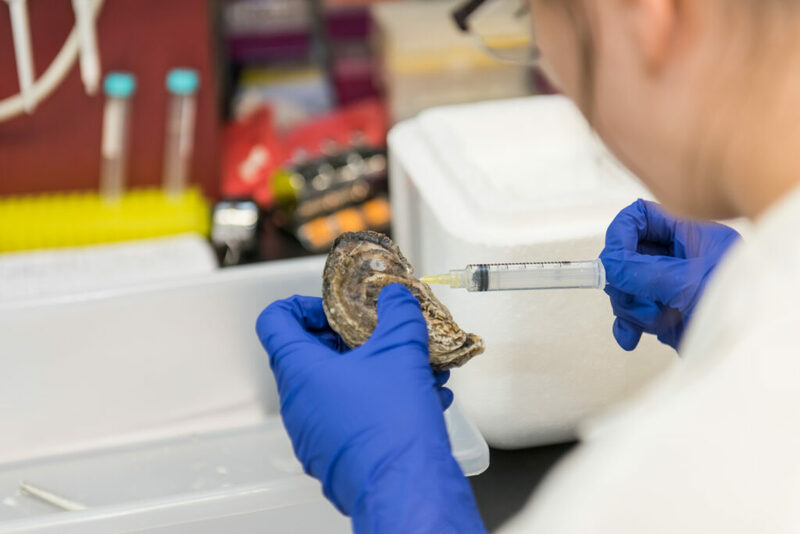 Contrary to common perceptions, new UMBC research in Aquaculture Environment Interactionshas found that properly managed oyster aquaculture operations can actually help limit the spread of disease among wild oysters. 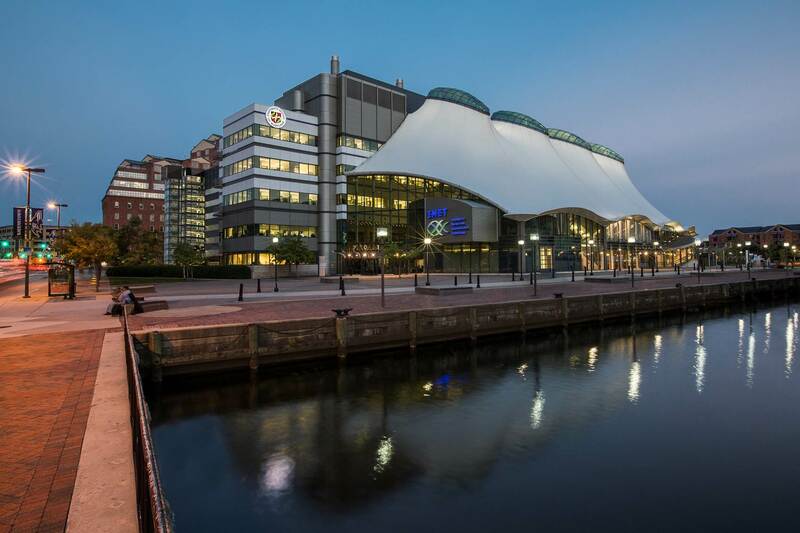 “This is another line of evidence saying that oyster aquaculture can be a good thing,” says Colleen Burge, assistant professor of marine biotechnology at UMBC, and a co-author on the study. “The established way of thinking is that disease spreads from aquaculture, but in fact aquaculture may limit disease in nearby wild populations,” adds Tal Ben-Horin, a postdoctoral fellow at the University of Rhode Island and the lead author on the study. 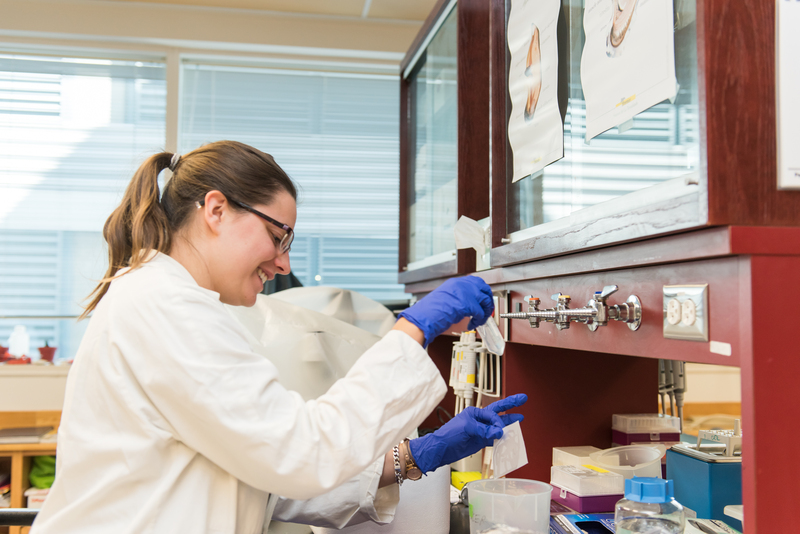 Ph.D. student Sandy Picot works in Colleen Burge’s lab. At a workshop funded by the NSF as part of the Ecology of Infectious Marine Disease Research Coordination Network, Burge co-led a session on disease transmission among sea creatures. Prior to the workshop, Ben-Horin began working on mathematical models to examine the interactions between farmed oysters, wild oysters, and the common oyster disease Dermo. Once at the workshop, Ben-Horin, Burge, and others further explored how best to refine Ben-Horin’s models. “It was exciting to be in the room, talking to experts, bouncing around ideas about different biological systems,” Burge says. One of the results of the NSF-sponsored workshop was the new paper. Burge and colleagues from Rutgers University, the U.S. Department of Agriculture, and the Virginia Institute of Marine Science contributed their expertise regarding oyster biology and the ecology of the oysters’ environment, and Ben-Horin used that input to inform the model. An Eastern oyster undergoes testing in Colleen Burge’s lab. Oyster aquaculture boom a boon? According to Burge, disease is a major factor in limiting wild oyster populations. Dermo, one of the most prevalent oyster diseases, is caused by a single-celled parasite that occurs naturally in the environment and proliferates in the tissue of host oysters. When infected oysters die, their decaying tissue spreads the parasite to other oysters. But it takes two to three years for the parasite to kill the oysters, and as long as the oysters are harvested before that time, the the spread of the parasite (which is harmless to humans) is limited. That’s important, because “oyster aquaculture is growing in Maryland right now,” Burge says. In addition, conservation groups are using oyster reef restoration as a tool to improve the Chesapeake Bay’s water quality and ecosystem health overall. “This paper suggests this growing aquaculture industry could actually support restoration efforts and also the wild fisheries,” Burge says. That is, as long as aquaculturists employ proper management techniques. Oyster farms that grow their product on the bottom surface of the Chesapeake Bay or other bodies of water are unlikely to recover all of their oysters, increasing rather than reducing the spread of the disease, explains Ben-Horin. Growing the oysters in cages or bags above the bottom solves that problem. Colleen Burge at work in her laboratory. Beyond this new study, Burge’s research more broadly explores how oysters and other bivalves work as some of nature’s most efficient water filters. She examines how they filter out pathogens that affect a range of species. 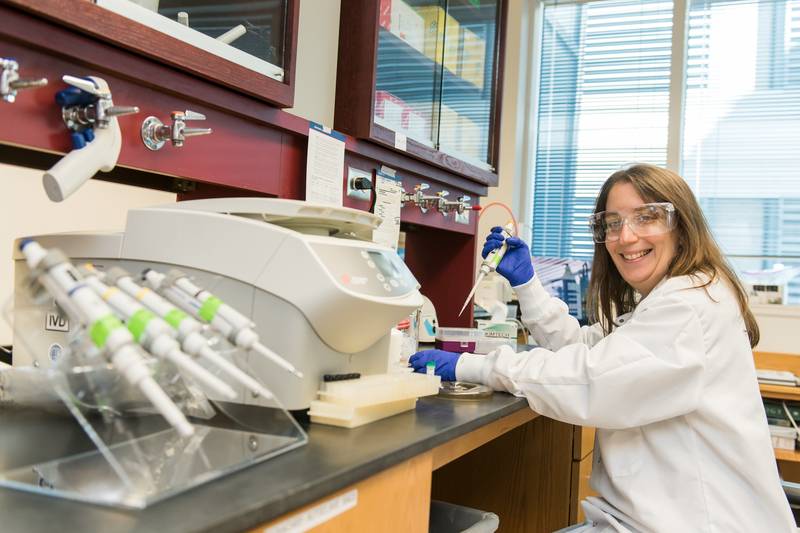 In addition to supporting the current work led by Ben-Horin, she recently received funding to investigate how oysters filter out an eelgrass pathogen from water. Eelgrass populations have been on the rise in the Bay in recent years, which is a good sign for overall Bay health. “Eelgrass is a foundational species and can provide structure for lots of different animals to live in, including fish, scallops, and other invertebrates,” Burge says. In addition, it’s been shown to moderate the water’s acidity in its immediate vicinity, possibly counteracting the negative effects of ocean acidification.